You’ve mostly likely seen stamped concrete before, whether at the mall, your favorite restaurant, or your friend’s new home. It is so versatile, easily and affordably mimicking higher end materials like brick, stone, hardwood, and even marble! 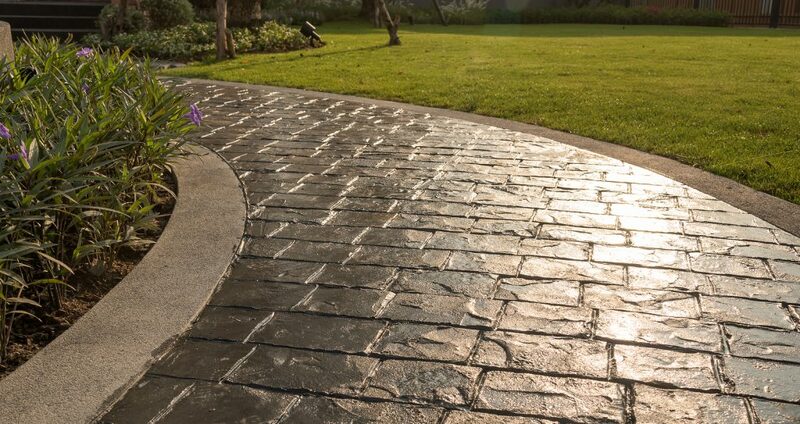 Stamped concrete is a very popular choice for flooring, patios, and driveways because it is visually appealing, functional, cost-effective, long-lasting, and low maintenance. That’s right! Low maintenance! But just because stamped concrete is “low maintenance” doesn’t mean it doesn’t require any care at all! In fact, it is vital that you provide a certain degree of care for your stamped concrete floors and foundations in order for them to remain strong and stunning for years to come. Continue reading to learn how to properly maintain stamped concrete flooring and surfaces. Stamped concrete can be imprinted, impressed, engraved, and colored to resemble an infinite array of designs, textures, and styles. This is just one reason why this type of flooring is considered such an important asset to a home or property. In order to maintain quality and performance, you simply need to make the time. Start with daily dirt removal. Use a leaf blower, broom, or vacuum to remove dirt, debris, and other solid particles from your floors. You should also rinse with clean water on a weekly basis to reduce grime and residue accumulation. Also be sure to stay on top of stain removal. 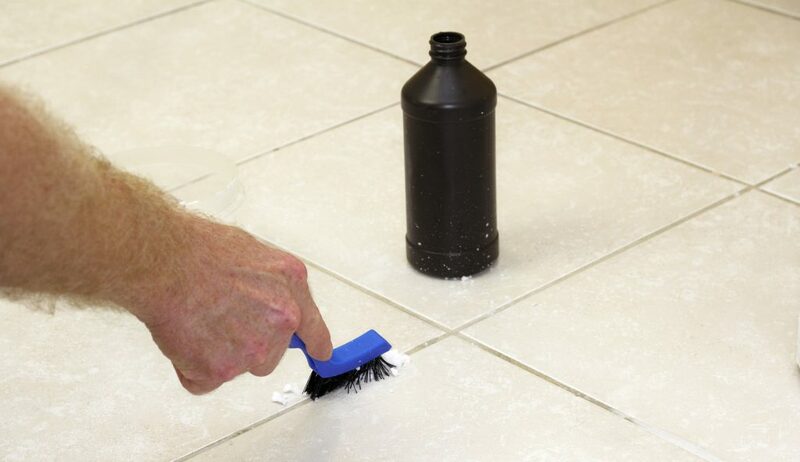 If your flooring or foundation has scuff marks, stains, or oil spots, it is important to remove them as soon as possible. Never allow stains, dirt, or debris to sit for long periods of time on stamped concrete. It is important to have stamped concrete seal coated to provide an extra layer of protection against dirt and damage. Routine seal coating also protects against freeze-thaw cycles, expansion, buckling, moisture, and de-icing chemicals. It is also important to hire a professional Indianapolis stamped concrete contractor for stamped concrete installation and sealcoating services. They have the experience, equipment, knowledge, and resources to provide accurate and safe service you can trust. Just be sure to choose a company that is licensed and experienced, and can offer estimates and advice anytime. Call Restoration By L & B, LLC at 317-454-3612 for professional concrete stamping and staining in Indianapolis and its surrounding areas. Our highly trained, qualified and insured general contractors provide services for complete project management and development, planning, design and build coordination, pre-construction services, and more. And as a trusted source for concrete installation, we guarantee to beat any competitor’s price! Contact us at 317-454-3612 to request a written estimate, today. Planning a home renovation or remodel? Set yourself apart from other properties by adding in some fresh, unique, and space-saving door designs inside the home! Continue reading to learn some popular interior doors styles that are topping the residential market trends this year, as well as, who to call for expert home remodeling and general contracting services near you. Although you can opt for the traditional, 4 to 6 panel door design in your home, there are several other options that may be better choices, not to mention more stylish! These new interior door options can eliminate the standard monotony found in last season property styles. Pocket doors are doors that hide inside the wall of the door frame, and then slide open and closed. They stem from the vintage design, which was often seen in older homes due to their much smaller quarters back then. That is because pocket doors happen to be excellent space-savers, especially for small areas and rooms. And with newer, more innovative designs, they are now stylish too! From tiny bathrooms and tight hallways, to regular room-to-room entry ways, pocket doors are the perfect solution for style and space. Dutch doors are fun, stylish, and best of all, useful. They appear as a standard full-sized door, but really, they are cut in half and designed to open at the top. You can choose to open just the top portion of the door, or you can open the door as a whole. These are highly recommended for interior-exterior entry ways, mud rooms, laundry rooms, and children’s rooms. Barn doors, also known as “farm” doors, are seen more and more these days, and for good reasons. Not only are they very chic and trendy, they are quite functional. They save space, much like pocket doors, but because they rest on the outside of the wall, they can also jazz up the interior of any room, even becoming a focal point! Furthermore, barn doors are easy to install, and most door way systems can fit them. When you combine a pocket door with a barn door, you get a sliding door system. Think of your patio sliding doors; sliding doors can now be stylishly incorporated inside the home. A popular place to consider adding sliding doors is the master bathroom. You can add a trendy focal point with mahogany or glass sliding doors that separate the master bedroom from the on-suite bathroom. Sliding doors are also great for finished basements, home gyms, and sun rooms. Glass bifold doors and French accordion doors are similar door systems, and both very trendy options for home remodels. Glass bifold doors are designed as two vertical panels that fold into one another when you close them shut. In today’s market, these old-fashioned door systems have been updated to look stylish and serve as space savers for small areas and rooms. French accordion doors are very similar to bifold systems, but they have more panels and attach to both sides of a door frame. They are great options for master bedrooms and bathrooms, as well as, great room dividers. 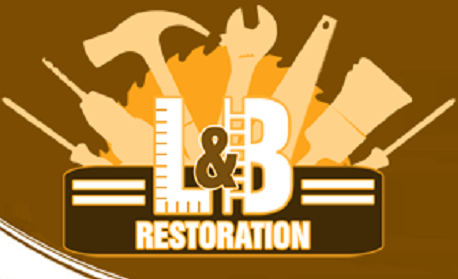 Call Restoration By L & B, LLC at 317-454-3612 for professional home remodeling in Indianapolis, Indiana. We are licensed general contractors who offer a wide range of residential and commercial remodeling services, including interior and exterior painting, drywall replacement, space conversions, additions, handy repairs, and more. And we guarantee to BEAT any competitor’s price! Whether in a big box store or a construction zone, forklifts are common machines used to lift heavy items, palettes, materials, and more. But without proper training, knowledge, and discipline, operating a forklift can be very dangerous, to both the operator and surrounding peers. Since there are various vocations and job positions that require forklift knowledge and operation, it is a standard certification sought out within the workforce. 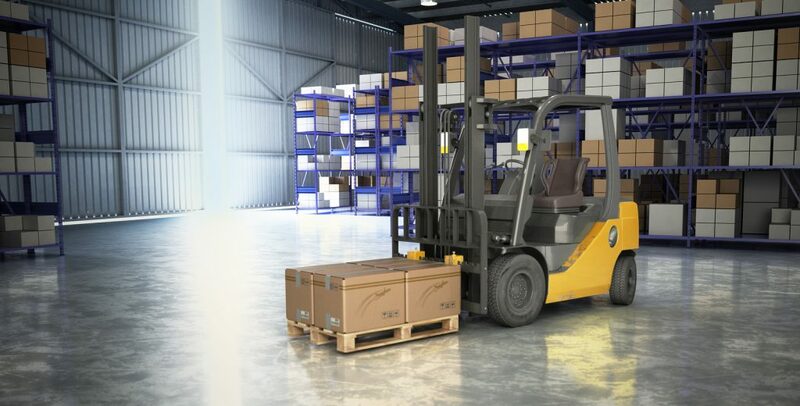 If you work with forklifts regularly, or have a staff under your supervision who does, it is vital to ensure that the proper, industry-standard forklift operation safety practices are upheld at all times to prevent serious accidents and injuries. Continue reading to review the top safety tips you should know and practice when operating a forklift; then share this knowledge with your fellow teams. The most fundamental safety tip for operating a forklift is to have the proper training and certification. Anyone who has not undergone official forklift safety training should not be permitted to operate a forklift under any circumstances. Whether gas, electric, 3-wheeled, or rough-terrain, forklifts are serious machinery and they require acute knowledge on operation and safety. We recommend to visit Forkliftlicenseguide.com for details on earning your forklift certification in Indiana. Forklifts, like all pieces of powered machinery, require regular inspections and routine maintenance in order to ensure they are in good condition. Aside from regular inspections, forklift operators should make it a habit to always perform a brief assessment of the machine before each use. Check the brakes, steering, lights, signals, tires, and more, to determine if the forklift is ready or not. When operating a forklift, there are several safety rules to adhere to. Some of the most important are the ones that are often overlooked. For instance, always be sure to maintain a safe speed when driving a forklift. Although they seem slow, it is easy to lose control in a small space. Additionally, it is important to wear the proper gear and clothing when operating a forklift, including eye goggles, work boots, hard hats, reflective vests, and more. If a load is not fully-secured or stable, it can cause a wide range of serious accidents and injuries. Can you imagine if a palate of timber fell on top of someone? So it is vital to ensure that all cargo is secured and balanced on the forklift before operating it further. Check on the weight distribution and levelness to avoid topping, falls, spills, and more. 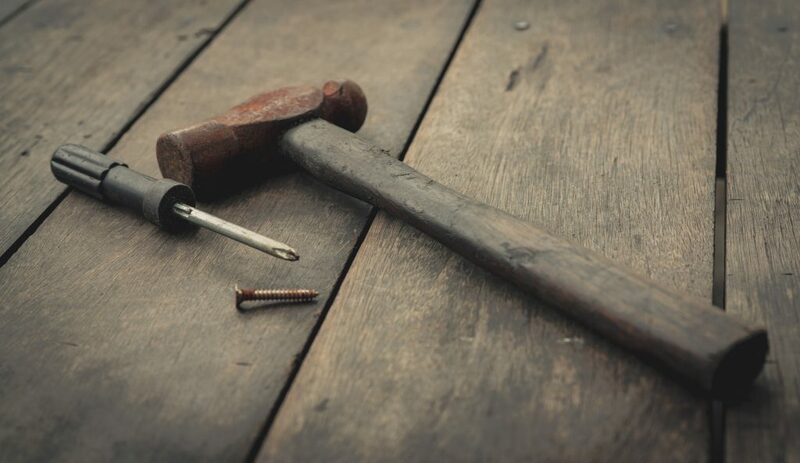 If you are close to giving up on a repair project because you can’t remove stubborn old screws from wood, you are in the right place! Whether your screws are painted over, rusted in place, or simply screwed too far, these nifty tips and tricks will give you the knowledge and ability to finally unfasten old, stuck screws from wood. Continue reading to get started! You do not want to use a power drill when attempting to remove old, stubborn screws. Not only can this quickly strip the head of the screw, it can potentially damage whatever item you are working with. Instead, rely on your good, old-fashioned screwdriver for the best results. Overall, the materials you will need to successfully remove an old screw will depend on the method you choose to use, which might depend on the circumstances of the particular screw in focus. Rusted screws are particularly challenging to remove since they are essentially cemented into place. But sometimes a little lubrication can help loosen them just enough for you to pull them out of their spot. Try applying some standard WD-40 or similar spray-on lubrication product directly over the top to break up the rust, and then try again. For screws that are glued in place with old paint, you can solve the problem with a chisel or a razor. Simply scrape away the paint until you reveal the screw head. Be sure to start on the outer perimeter of the screw, and then work your way to the center where the screwdriver slot is located. If this still doesn’t work, you can move onto other methods. For those screws that won’t seem to move no matter how much force or traction you provide, rely on your trusty hammer. Being very careful and controlled, hold your screwdriver in the slot, and while slowly turning it, tap the screwdriver with the hammer. This can widen the hole and dislodge the old screw. 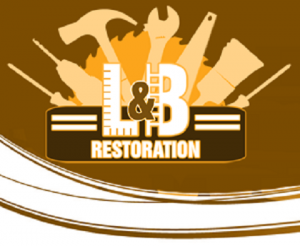 Call Restoration By L&B LLC at 317-454-3612 for Indianapolis home remodeling and handyman services at competitive prices. Owner and general contractor, Lee Elliot, is happy to answer all your questions about home remodel planning, prices, and process. And don’t forget; we guarantee to BEAT any prices quoted by our competition! Laminate floors are becoming more and more popular over time. They are a fantastic substitute to expensive and hard-to-clean hardwood flooring, while still offering a beautiful look and finish to any room in your property. Laminate floors are made of high-density fibers, making them extremely durable and easy to clean! It is a great advantage that laminate floors are easy to clean since it is very important to take good care of them; otherwise, you could face premature repairs or a full-on replacement. Continue reading to learn how to properly care for laminate flooring. Daily cleaning is easy and non-labor intensive. Because laminate floors are very dense and lack exposed pores on its surface, there is substantially less dirt and dust accumulation on a daily basis. This means you only need to take a dry cloth or mop and lightly sweep the surface once a day. Vacuuming is another quick method to dusting laminate floors; just be sure you are using a vacuum with soft bristled brushes or felt. 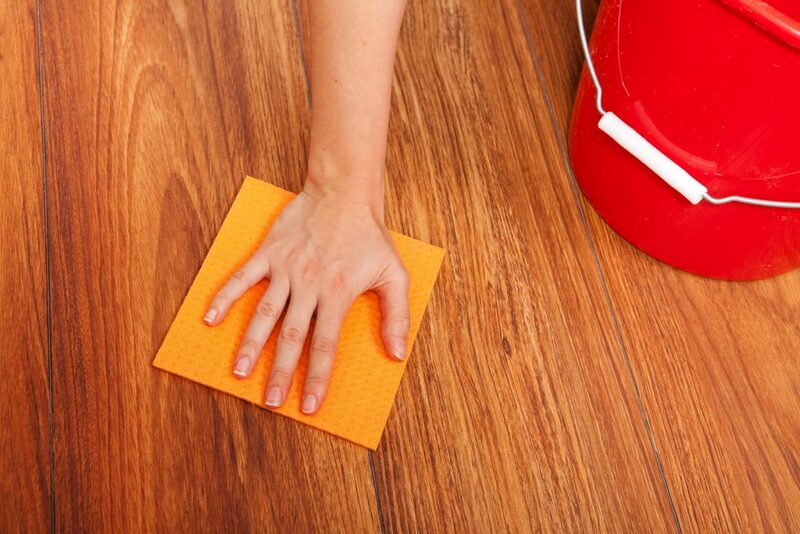 Removing dust, sand, and dirt from your laminate floors reduces the likelihood of visible scratches and surface damage. On a less periodic basis, concentrated care is necessary. This involves removing foot traffic marks and other dirt accumulations. Simply using an over-the-counter laminate floor cleaner and water solution can remove these markings and dirt without harming the integrity of the floors. Do not use too much water; instead, use a semi-soaked mop or towel and apply the floor cleaner moderately. Use semi-warm water to erase and remove pet dander, dirt, dust, and more. Be sure to follow the manufacturer’s instructions on the laminate floor cleaner. Using these tools and key ideas can drastically increase the lifespan of your laminate flooring. It is important to understand the right process when it comes to laminate floor care so that you can get the best value for your dollar. Continue to care for your laminate floors and never have to worry about replacing them ever! If you fail to take care of your laminate floors, premature repair and replacement is imminent. If your laminate floors are old or worn out,consider upgrading your flooring with new laminate, or another popular material, such as hardwood or tile. Talk to a trusted flooring contractor to learn your options for Indianapolis laminate floor repair and installation. Call Restoration By L&B, LLC at 317-454-3612 if you are looking for licensed Indianapolis flooring contractors you can trust. Owner,Lee Elliot, provides a wide range of home remodeling and renovation services at the most competitive prices in town. In fact, we guarantee to BEAT any competitor’s price! Call 317-454-3612 to schedule a time to receive an in-person estimate for floor restoration and repair in Indianapolis, Indiana. When you are taking on household repairs or home improvement projects on your own, it is important to put safety first. This includes using sturdy equipment, choosing the proper materials, knowing how to operate your tools, and more. In fact, one of the most neglected safety factors is taking the proper precautions to protect yourself from harm. In fact, it only takes a handful of items to do so successfully. Continue reading to learn the top recommended types of personal protective gear to have for your home repair projects. Whether you are after a leaking faucet or in need of some seasonal window washing, using safety gear is gravely important. Even just a pair of gloves and safety goggles will get you started on the right track. 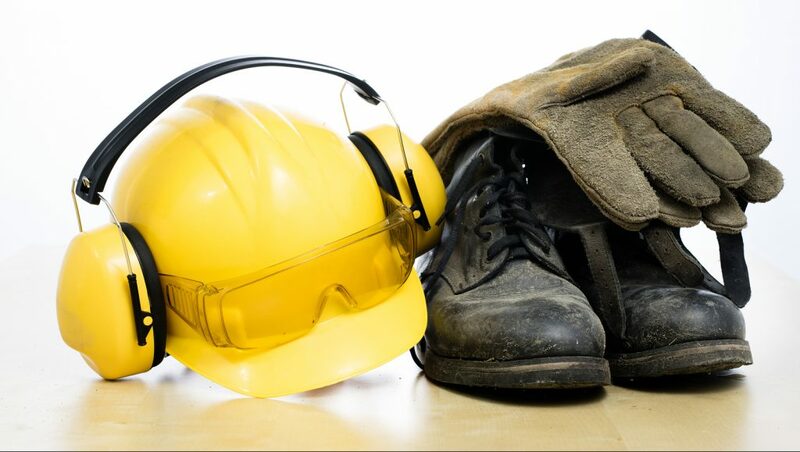 In fact, those are the first two items recommended for personal protective gear! The eyes are inexpressibly important, so you want to always have them protected when you are working with your hands. This is especially true for projects that involve any sort of heat, sharp objects, shards, or dust. Best of all, safety goggles are very inexpensive. You can get a quality pair for as little as a few dollars. And with good care, they will last forever. You use your hands for almost everything, so it is very inconvenient when they are scraped, burned, punctured, or hurt in any way. If you are going to partake in at-home repairs and renovations, it is wise to invest in a quality pair of work gloves with good lining and thick, waterproof material. Expect to pay anywhere from $6 to $22 for a good pair of work gloves. In addition to work gloves and goggles, it is best to protect your ears from flying shards and ultra-loud noise. You can do this by using earmuffs and ear plugs while you work. You see, your ear drums are more vulnerable than you think. Not only are they sensitive to loud noises, like those produced by your power drill and scroll saw, they are also bothered by airborne debris. Look for earmuffs with a decent noise reduction rating (NRR). Projects that require a lot of kneeling and floor time can lead to aches, pains, and bruising on the knees and joints. You can help alleviate these symptoms by using knee pads or portable floor mats. These items can be found in the gardening section of your local home improvement store. Your knees and legs will thank you the next day! If you ever intend to do projects that require heavy lifting or materials, like concrete, masonry, or appliance replacement, you will benefit from protecting your feet. A good pair of steel-toe boots will do the trick! Not only will they protect your toes, they will also protect your feet from orthopedic and dermal injuries. Be prepared to pay between $80 and $200 if you want a quality pair that will last. 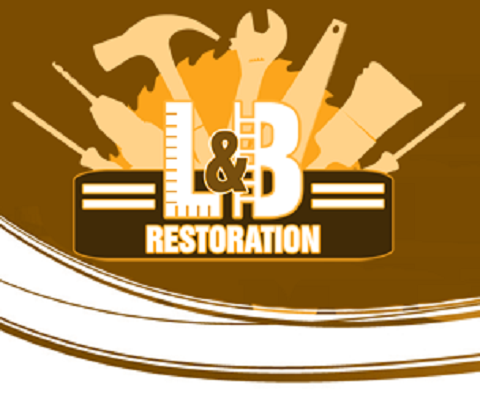 Call Restoration By L&B LLC at 317-454-3612 for Indianapolis handyman and remodeling services at competitive prices. Owner and general contractor, Lee Elliot, is happy to answer all your questions about home remodel planning, prices, and process. And don’t forget; we guarantee to BEAT any prices quoted by our competition! Request a written estimate, today. Carpets are valued amenities that require a certain degree of care and maintenance if you want them to look new for a long time. Without a regular care routine, carpets quickly lose their structural integrity and begin to look dull and destroyed. In order to keep your carpets performing well and looking good for many more years to come, a commitment to carpet care must be made. Continue reading to learn some helpful tips on how to extend the life of your carpeting, as well as, who to call for professional carpet replacement near you. Carpet, being a commodity that is typically walked upon, tends to collect dirt, debris, and other unhygienic particles. In order to keep up with the rate of collection, is to vacuum your carpets at least once a week. 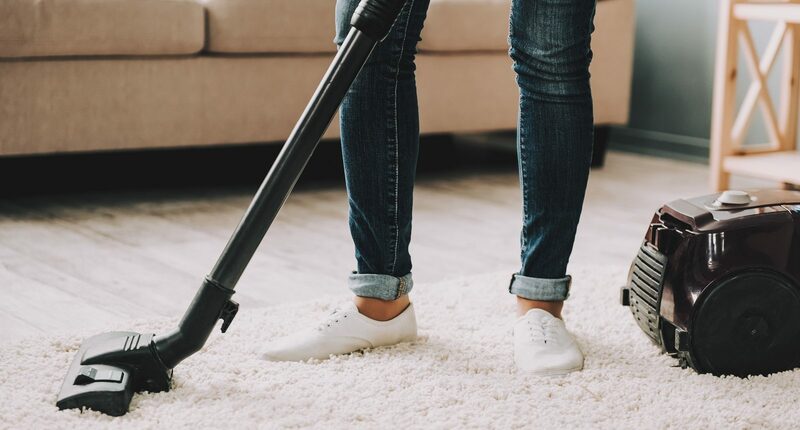 If regular vacuuming is not implemented, high traffic areas will begin to turn gray and black and other areas of the carpet will fade or discolor. Also, the accumulation of dirt, hair, and debris from human and animal traffic can cause illness and is highly unsanitary. It is a common house remedy to put baking soda in the vacuum to help remove odor. Another tip to maintaining beautiful and clean carpets is to immediately clean up a stain or accident when it occurs. By not allowing spills and dirt to set-in, you can increase the longevity of your carpeting. If you let a stain sit, it will be more difficult to get out, resulting in permanent discoloration. Numerous stains like these will make your carpet appear old and dirty. Fabric and upholstery protectants are a great option for enhancing the overall condition of your carpeting. They create a protective coating around carpet fibers, which prevents absorption of any liquids or other materials that may potentially stain them. Not only can these products protect carpeting from stains and other blemishes, it prevents odor from lingering in the fibers as well. Apply a carpet protectant, such as Scotchguard®, at least once a year. The most effective approach to maintaining brilliant shine, quality, and texture of your carpets is to maintain them. Make a carpet care plan and follow through with it, daily, weekly, and monthly. This will prevent premature aging and defects, which will also save you money carpet replacement. Additional ways to protect your carpet would be to avoid shoes, wipe away paw tracks before you allow pets to come inside, use soil-retardants, have your carpets cleaned professionally on an annual basis, and limit food and beverages in carpeted areas of the home. Call Restoration By L&B LLC at 317-454-3612 if you need to have your carpets or flooring replaced in Indianapolis and its surrounding areas. Our general contractors provide a wide range of residential and commercial flooring services at the most competitive prices around. Owner and general contractor, Lee Elliot, is happy to answer all your questions about home remodel planning, prices, and process. And don’t forget; we guarantee to BEAT any prices quoted by our competition!